In 2013, North Carolina drew national attention when it passed the nation’s most restrictive voting law—currently the subject of a challenge in federal court. The Republican-backed measure likely kept tens of thousands of voters, disproportionately minorities, from the polls last fall. But a subtler maneuver—and one that, until now, has largely flown under the radar—could throw up another major roadblock for non-white would-be voters next year, when the state figures to once again be a presidential battleground. Last year, North Carolina’s county election boards, which are controlled by Republicans, moved the location of almost one-third of the state’s early voting sites. Those changes, according to new data analysis by a consulting firm that was shared with MSNBC, will significantly increase the distance African-Americans have to travel to vote early, while leaving white voters largely unaffected. In total, black voters will now have to travel almost 350,000 extra miles to get to their nearest early voting site, compared to 21,000 extra miles for white voters. That’s even though white voters make up 71% of the state’s electorate and blacks are just 22%. The average white voter will now have to travel just 26 feet further to vote early. For blacks, the equivalent figure is a quarter of a mile. “We never expected we would see such an enormous disparity,” said Bill Busa of insightus, a non-profit data analysis firm that produced the findings. Local election administrators move the location of polling sites frequently, in order to better accommodate changing voting habits and serve voters more effectively. No one is alleging that the counties coordinated on a plan to make it harder for blacks to vote. And, importantly, even after the changes, black voters are still closer to early voting locations on average than white voters (though blacks are more likely not to have a car, so they may still face a longer journey by time). Before the changes, blacks were 2.90 miles away while whites were 3.77 miles away, on average, according to Busa’s numbers. After the changes, blacks were 3.14 miles away while whites remained 3.77 miles away. But Busa’s analysis underscores how even minor changes to election systems that might have been intended to be neutral can nonetheless have the effect of hurting racial minorities more than whites. In this case, that might have been because white neighborhoods are more likely to have amenities like parking, leading election administrators to put polling locations in those areas. Whatever the cause, the disparity underlines what was lost when the Supreme Court invalidated Section 5 of the Voting Rights Act in the 2013 Shelby County v. Holder case. Before that ruling, the federal government didn’t need to show that an election change was intended to hurt minorities—only that it had that effect. So changes like those insightus analyzed could have been more easily blocked. But since Shelby, local and state governments across the country can make election changes without getting pre-approval from the federal government. Busa and insightus make little effort to hide which side they’re on. The report says the firm intends “to fight—in both the court of law and the court of public opinion—for redress of North Carolina’s obviously unlawful shell game of electoral apartheid.” It’s also worth noting that many of the counties that moved their polling places created shorter or unchanged average distances for both black and white voters. And the impact of the changes on the average voter, regardless of race, was fairly small, insightus found. In 2012, she had to travel 3.5 miles to vote early, compared to 3.6 miles in 2014. In addition, it’s difficult to say what effect the changes to polling locations had in last fall’s midterms, because that was also the first major election under the state’s restrictive voting law passed in 2013, known as the Voter Information and Verification Act (VIVA). That measure ended same-day voter registration and cut a week of the early voting period (though most counties must offer the same total numbers of hours). It also established a photo ID requirement, and banned out-of-precinct voting, among other provisions. In July, a federal court heard a challenge to the law brought by voting rights groups and the U.S. Justice Department, who allege it discriminates against blacks and Hispanics. Astudy by the progressive group Democracy North Carolina found that VIVA kept around 30,000 would-be voters from the polls. Still, the changed early voting locations likely added another hurdle for minorities. All told, an increased distance of a quarter mile to vote, played out across the state’s roughly 1.5 million registered black voters, could have a significant impact. A 2011 study of Los Angeles County voting found that for every one-tenth of a mile increase in the distance to a polling place up to 0.4 of a mile, voting declines by 0.5 percent. By those numbers, North Carolina’s changes might have kept nearly 19,000 black voters from the polls. And courts have recognized that the distance a person must travel to cast a ballot or to get qualifying documents is a key factor in determining whether their right to vote has been unfairly burdened. Texas’ voter ID law was struck down by a federal judge last year—the state’s appeal is pending—after experts testified that minorities would need to travel much further than whites, on average, to get to state offices that issue IDs. In North Carolina, the U.S. Department of Justice twice objected under Section 5 of the Voting Rights Act to efforts by counties to move a polling place, citing the impact on minority voters. The early voting location changes have until now attracted little attention, perhaps because they’ve played out as a series of separate, apparently minor local-level tweaks. Last year, North Carolina’s counties, each acting independently, moved the locations of 114 of the state’s 363 early voting locations, and added three new locations. Those changes were approved and conducted by Republican elected officials: Each county board of elections has three members, two appointed by the governor’s party, and one by the other party. Gov. Pat McCrory, a Republican, has been in office since 2013. Insightus found that in a few counties, the impact on black voters was especially stark. For instance, in predominantly Democratic Orange County, an early voting site was moved off the campus of the University of North Carolina, Chapel Hill, and into the city of Durham. Another polling location in what insightus describes as a multi-ethnic area was moved to what it says is a sparsely populated, affluent location. Thanks to these changes, Orange County blacks had to travel an average of 0.4 miles further to vote early, while whites had to travel less than a tenth of a mile further. In other counties, both black and white voters ended up further from the polls. Poor, rural Hereford County closed two of its three early voting sites, with the result that both blacks and whites had to travel just over five miles further, on average, to vote early. Early voting is very popular in North Carolina, and high black turnout during the early voting period has been crucial to Democrats’ recent ability to compete there. In 2008 and 2012, 70% of black voters cast their ballots early, compared to about 50% of white voters. That allowed Barack Obama to unexpectedly carry the state in 2008, and nearly do so again in 2012. Despite its willingness to engage in advocacy, insightus’s past work has held up. 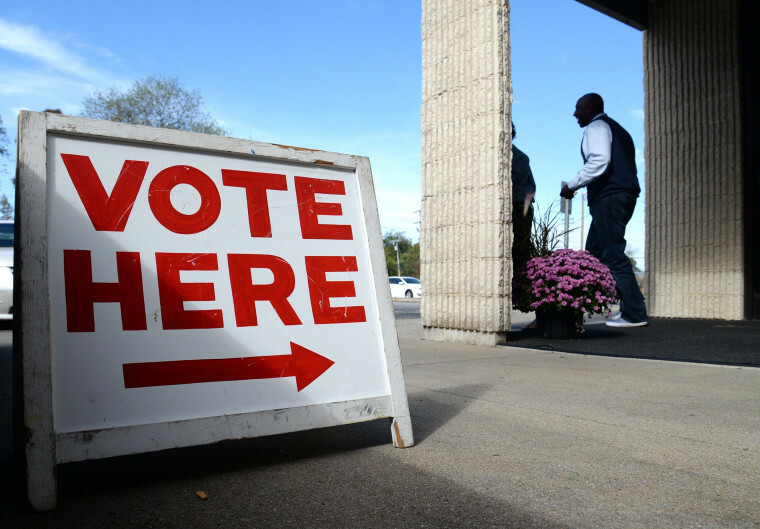 One report produced by the firm earlier this year exposed failures in the state’s voter registration system, and its findings were confirmed by an expert witness as part of the federal challenge to the 2013 voting law. For this latest project, Busa and his team used data on voters’ addresses from the state Board of Elections voter registration files, and information on early voting sites from the Voting Information Project, a well-known source of election administration data run by the Pew Charitable Trusts. They supplemented that with demographic information from the respected U.S. Census and American Community Survey.